Before I head off to Japan in October, I’ve come back home to Huddersfield for a little while, and after a week of stress and hell, I needed to relax, get my aching, desk-battered shoulders fixed and over-grown eyebrows pruned. Through my mother’s recommendation and a Google search, I found VJW Holistic Therapies, located right here in Huddersfield, West Yorkshire. 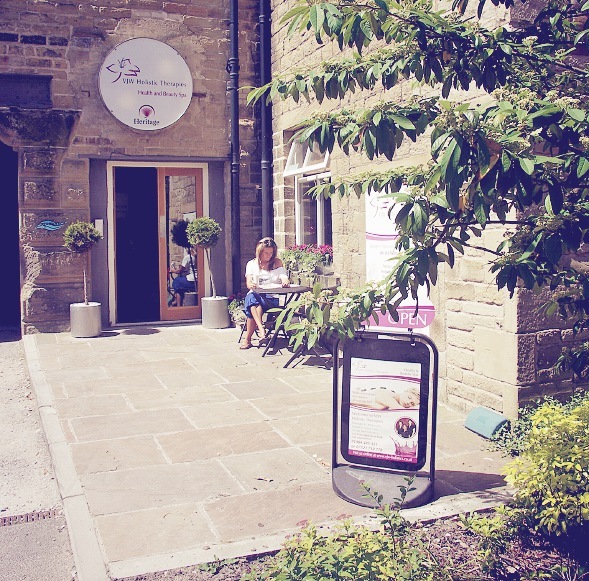 The salon is owned by a mother, daughter and family friend, offering an enormous menu of services from nails, to sports therapy massage with recommendations from the very appreciative Huddersfield Town FC players. 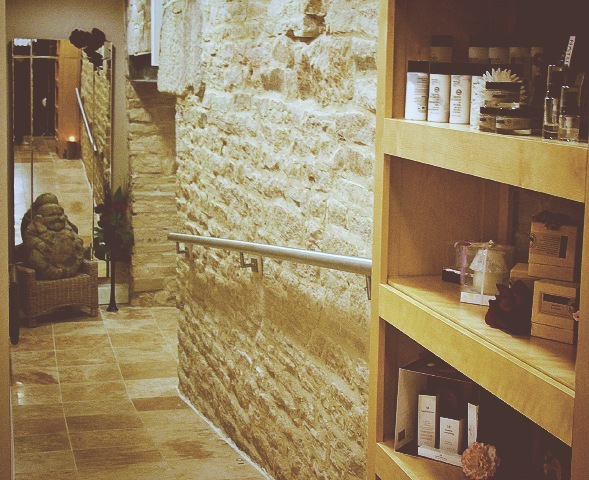 It’s located in a beautifully renovated mill in Lindley where they’ve converted the beautiful passages and rooms of exposed stone into gorgeous treatment rooms. The treatment rooms are gorgeous, beautifully lit with soft lighting and candles, climate controlled to feel totally comfortable once you’ve de-robed. You can step down to a shower set deeper into the stone which I imagine would be a beautiful end to an aromatherapy massage or body treatment. There was gentle piped music of water and birds, but it wasn’t so that I felt I was being smacked over the head with panpipes – perfect. So, I opted for the Deep Tissue Back Massage. Vicky, who conducted my treatment, was wonderful – locating my problem areas in seconds and working them over with skill and ease. The first half of the treatment had more intensely focused pressure and the second half was more to relax the worked areas, through scalp and neck massage. After my treatment, I was encouraged to take my time in getting back to the reception, which I did, feeling almost drunk through relaxation. Once back, I sat back down in the reception and waited a few minutes before then being called through to get my eye brows waxed. For the last 3 years I’ve always gone to Benefit to get them done and only now I’ve realised what I’ve been missing. After being guided into the treatment room, I hopped on the bed and the treatment began. I like my eyebrows to look neat and tidy, but you may know what I mean when I say I hate when men’s eyebrows look ‘done’ and feminine – I like them neat but still a little manly. The treatment took only a few minutes, we had a good chat and a laugh in the process and they look perfect. At no point on my visit was I asked to buy anything, book long courses of treatment or pushed, provoked or pressured. I was so pleased, as this is a horrid trait of some places I’ve been before. Everyone seemed so welcoming and friendly and I felt very comfortable to natter on endlessly as I usually do! I left feeling calm, pampered, stress-free, plucked and soothed. I will definitely be booking back in. This article first appeared on MANFACE written by Thom Watson. It was published on Wednesday 22nd August 2012 and was last updated on Monday 3rd April 2017 at 4:12pm. It's categorised under Travel where you'll find more related content. This sounds amazing! If I’m ever Huddersfield way then I need to book myself in! You definitely do and I can’t emphasise how lovely they all are! Beautiful location, great treatments and I 100% have not been asked to promote this, I’m genuinely this excited about it.